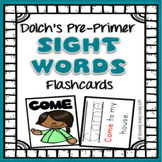 These sight word cards will allow your students to quickly learn their first grade (Dolch) list. Each card has the word and a relevant picture on the front. 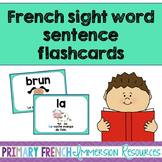 On the back, students will trace each word and then read a sentence with the word. 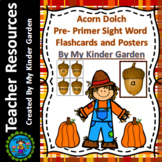 This is a great product for RTI or word work centers! Perfect for those working with deaf and hard of hearing students! Fry's First Hundred-5th Hundred Word Lists. 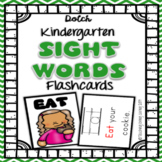 500 Printable Sight Word Flashcards. 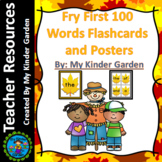 These 100 safety sign words and pictures can be used to teach: . •	Receptive Identification •	Expressive Identification •	Identical Matching •	Non-Identical Matching •	Matching Words to Pictures *There are 3 pictures associated with each word to promote generalization. 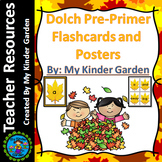 These early sight word cards will allow your students to quickly learn their kindergarten (Dolch primer) list. Each card has the word and a relevant picture on the front. 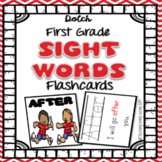 On the back, students will trace each word and then read a sentence with the word. 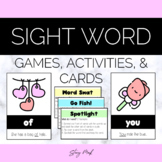 This is a great product for word work centers! 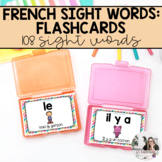 These 100 restaurant words and pictures can be used to teach: . •	Receptive Identification •	Expressive Identification •	Identical Matching •	Non-Identical Matching •	Matching Words to Pictures *There are 3 pictures associated with each word to promote generalization.